Thorang peak (6144m) is the nice snow mountain on the left, just to the south of the Thorang La, seen just past the Gya La (3970m) between Testing and. The trail from Testing descends from the Gya La (3970m) and eventually joins the main trail from Manang to Ranipauwa. Muktinath is visible in the lower right. 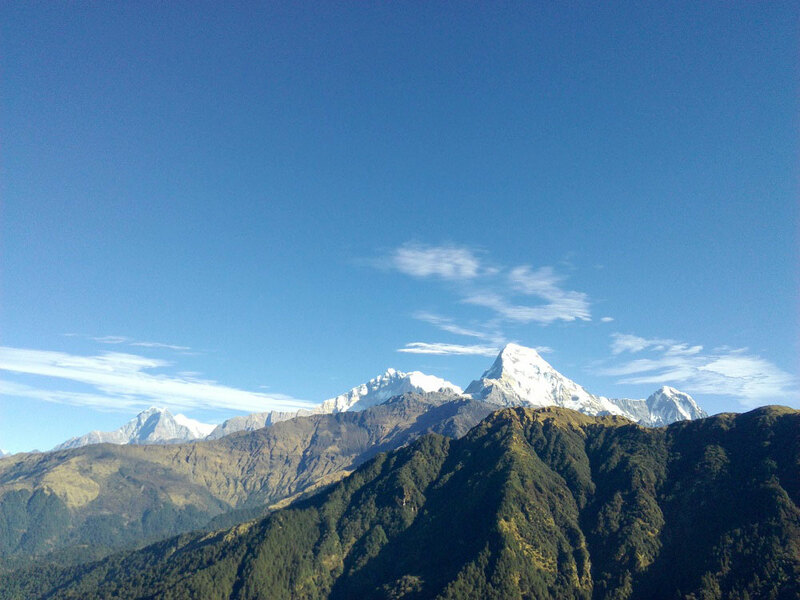 This trekking route is mostly deliberate for them who adore enjoying the flora and fauna of panoramic views of Annapurna Himalayan range. This route takes you to the most stunning mountain landscape, delightful settlement of Gurungs and other communities their slate-roofed houses, where you can discover the unbelievable rhododendron forests will gives you different smile. The highest point of this Trekking is Thorang La pass 5416m. There are no detailed maps obtainable about this area of Nepal. The maps you can buy contain south of the pass only a mountain call Khatung Kang (6488 m). But this is not the mountain you can see and climb from Thorong La, but the one behind it. Because of that these mountains often are mixed up. Thorong peak is left above from on the way to most well-known Thorong la pass (5416m.) thousand of trekkers very years through this pass. Climbing Thorong peak spectacular but demanding trekking peak one should need a permit and skilled climbing guide and should go through the register trekking agency in Nepal. It is true that the earlier knowledge is necessary to climb this peak. However, you must be set spiritually as well as healthy for this risky climbing. This trail takes you to the most spectacular mountain scenery, charming settlement of Gurungs and other community their slate-covered houses, where you can explore the incredible rhododendron (national flower of Nepal) jungle will give you diverse smile. This mountain is the shortest opportunity to gain a 6000 meters peak while doing the well-known Annapurna circuit trekking. From this passes it is the first mountain to the south. The highest point of this trek is Thorang La pass 5416m. There are no full maps available about this area of Nepal. 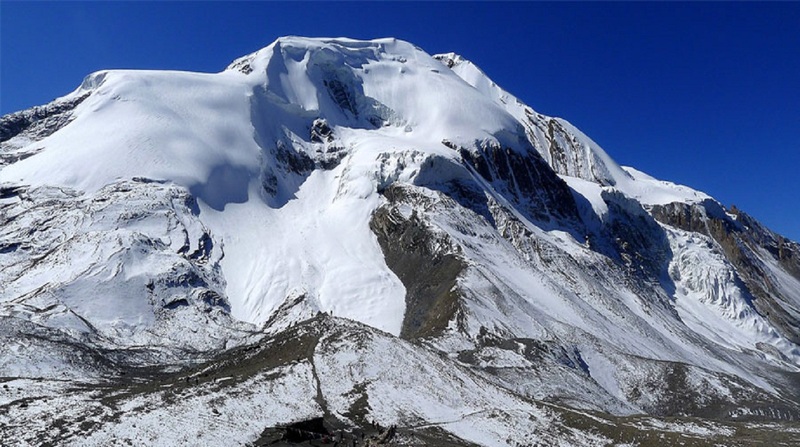 The top of this peak offers grand views of Nilgiri peak, Tilicho peak, Dhaulagiri range, Annapurna range, spectacular scenery of Mustang region which is special trekking area with the of Kali Gandaki valley. This valley is the well-known route to the upper Mustang. Day 01: Private vehicle drives 5 hours to Besisahar (760m.) and overnight hotel. Day 02: Trek to Bahundada (1310m.) it takes 5-6 hours walk and overnight hotel. Day 03: Trek to Chamje (1420m.) it takes 6 hours walk and overnight hotel. Day 04: Trek to Dharapani (1860m.) it takes 5-6 hours walk and overnight hotel. Day 05: Trek to Chame (2670m.) it takes 6 hours walk and overnight hotel. Day 06: Trek to Lower Pisang (3200m.) it takes 6 hours walk and overnight hotel. Day 07: Trek to Manang (3540m.) it takes 5 hours walk and overnight hotel. Day 08: Acclimatization in Manang and sightseeing in the local village and overnight hotel. 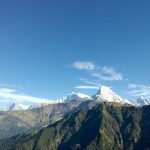 Day 09: Trek to Churi Latter (4200m.) it takes 5 hours walk and overnight hotel. Day 10: Trek to Thorang Phedi (4450m.) / High Camp (4600m.) 4:30 hrs walk, overnight hotel. Day 11: Trek to Thorung Peak Base Camp (5200m.) 4-5 hours walk and overnight tent camp. Day 12: Climb up to High Camp (5630m.) it takes 4 hours to climb up and overnight tent camp. Day 13: Summit to peak (6144m. ), down to base camp 8-9 in total, overnight tent camp. 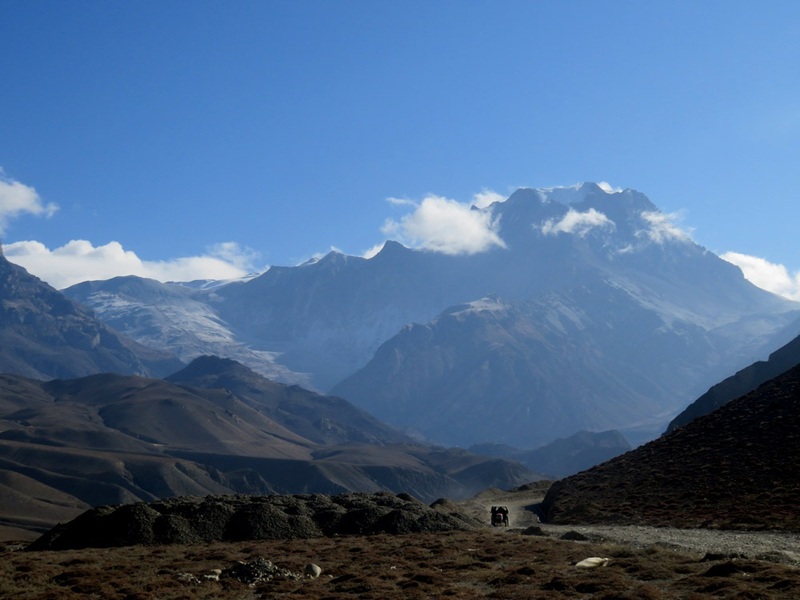 Day 14: Trek to Muktinath (3800m.) via Thorang top (5416m.) 5-6 hours and overnight hotel. 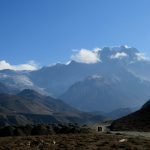 Day 15: Trek to Jomsom (2710m.) (district headquarter) 5-6 hours walk and overnight hotel. Day 16: Fly back to Pokhara 15 to 18 minute, look around Pokhara and overnight hotel. Day 17: Private vehicle drive 5 hours or plane 25 minute to Kathmandu and overnight hotel.